Take a walk on the cozy side this autumn with the Dylan Women's Frosty Tipped Shearling Snap Vest and a hot coffee in hand. 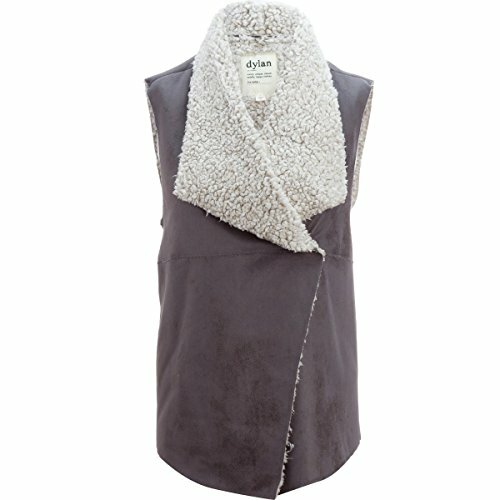 The Shearling Snap Vest features a plush faux fur lining for comfort that's akin to the buttery divine, while the snap closure allows you to wear the vest draped open or closed shut for enhanced warmth. If you have any questions about this product by Dylan, contact us by completing and submitting the form below. If you are looking for a specif part number, please include it with your message.